Brink fixed towbar - installation including wiring kit, starting at €276. Do you frequently use a towbar? Then the fixed towbar is the right fit for you. It is permanently available, maintenance free and will last the lifetime of your car. De fixed towbar is suitable for every type of bike carrier, and it can easily take any challenge, be it towing a trailer, caravan, horsebox or boat trailer. The fixed towbar is almost certainly available for your car, as we have developed a fixed towbar for almost any make and model of environmentally friendly cars. The only time the fixed towbar is unattainable, is if it happens to block your license plate or mist lights when installed, as these are legally required to be visible. A fixed towbar has the most reasonable price of all towbars and in by far the most cases is suitable for cars that have the Park Distance Control system (PDC). Brink towbars are tested under extreme conditions to ensure safety when you are towing. Specifically developed and tested for your car. Brink has been synonymous with towbar expertise for over a hundred years. Thanks to our core values of innovation, ease of use and safety, we have grown to become a global market leader in designing, testing and manufacturing towbars in addition to a wide range of vehicle specific wiring kits. With our vehicle-specific towbars and wiring kits, we ensure technicians have access to a wide range of premium quality products. In addition, they are available for next day delivery and easy to install. We are also pleased to offer support, through training courses, clear fitting instructions and technical assistance during installations by our after sales team. We are proud of the fact that we design, test and manufacture all our towbars in our own facilities. We do not have any production locations in so-called low-wage countries to save costs, to the detriment of employment opportunities in our own country. We trust the quality and flexibility of our own employees. 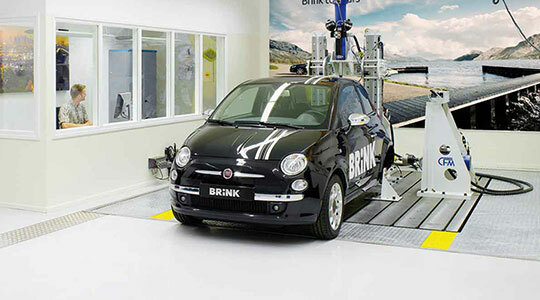 Brink is the first choice of many car manufacturers. Our collaboration is very extensive. We contribute to their innovation, design and construction process and guarantee they receive reliable and high-quality products that can easily be integrated into their cars. Brink is in liaison with many vehicle manufacturers during the design phase of a new car.